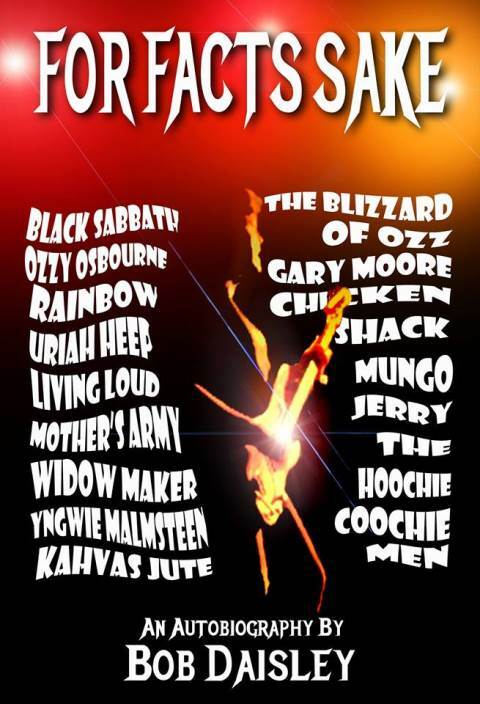 Greg Prato of Songfacts spoke with bassist Bob Dasiley (Ozzy Osbourne, Rainbow, Black Sabbath, Gary Moore and Uriah Heep). Excerpts from interview appear below. Songfacts: Let’s start off by talking about your new book, For Facts Sake. What made you decide to write your autobiography now? It was the perfect time. If I’d done it too early, so many important things wouldn’t have been in it, because they hadn’t happened yet. But it was a long time coming and it took a while to do it, as well. I was working on it for four years. The actual writing of it took about another two and a half years, and there were thousands of photographs to go through and narrow those down into hundreds, and then scanning them. I think there’s over 480 photos in the book. And I wanted the photographs within the text, so that if you’re reading about Gary Moore or Ozzy Osbourne, there’s the photos that I’m talking about, so you don’t have to go searching in the photo section. And to do that, my webmaster, Simon, did a brilliant job on doing the photo placement throughout the text, because it’s a really hard job to do. Because you only have to make one a bit smaller or a big bigger or change a bigger text and it throws the whole thing off. It’s like a Rubik’s Cube kind of thing. I was pleased with the final product. I wanted a good quality product and I think I’ve got that. Songfacts: As far as songwriting, how do you find that you write your best songs? And then with lyrics, you know, I’ve written a lot of lyrics in my time. Sometimes the ideas just come to me, so I’ll jot them down in a book and then I’ve got different lines that might not be even related, but I have lots of little jottings in my book that come in handy when I start writing. But I always try to have a message in a song or have something a little bit philosophical. There’s nothing wrong with a good love song, but it’s been done to death – I could put an album on of many different bands and all’s you hear is, “I love you, baby,” or “Don’t leave me, baby,” or that sort of stuff. [Laughing] I wanted to avoid that kind of thing. There is the odd one here and there that I’ve written, a love song or that kind of thing, but I prefer to lean more towards the philosophical. Songfacts: What are some of your favorite lyrics that you’ve written over the years? Bob Dasiley: One of the recent albums that I did was with Jon Lord-The Hoochie Koochie Men (2007). The album is called Danger: White Men Dancing, and there are a few songs on there that I like the lyrics. But I suppose the real classic stuff is the stuff that I get the most feedback from people on: the Blizzard of Ozz and Diary of a Madman albums. I get lots of comments from people saying, “Oh, this song or that song helped me through a difficult time or inspired me when I was feeling a bit down. I listened to that all the way through college and I got a lot out of it.” And that makes it all worthwhile. If you can reach people on that level, then I think you’ve achieved something special. The whole point of music and lyrics is to make people emote, and if you get some emotion out of them, then you’ve done your job. But I suppose I get a lot of comments about the song Diary of a Madman, which was more of a personal thing for me. It wasn’t about Ozzy. When I came up with the title of the album, we still didn’t have a song called Diary of a Madman. I came up with the title, and I thought it would be a good title for an Ozzy Osbourne album because he’s got the reputation of being one of the madmen of rock & roll. But the actual song was really about me. It was more of a personal think. Songfacts: And as far as collaborating with others, who would you say are some of your favorite collaborators? Bob Daisley: Randy Rhoads has to be mentioned, for sure. He was a brilliant guitarist and a thoughtful writer, and it was a pleasure to work with him. Randy and I used to just sit on a chair opposite each other and come up with ideas. A lot of the main riffs were his, but sometimes I’d say, “Well, I’ve got a bit that will go with that.” Some stuff was from way back in my past, from the early days, and they ended up on Diary of a Madman. But yeah, Randy, he’s up there, for sure. Jeff Watson, the guitarist with Mother’s Army [and formerly of Night Ranger], I like working with Jeff. We’ve come up with a lot of good stuff together. There’s been so many – Jake E. Lee, Zakk Wylde – they’re some of the favorites. Songfacts: Something that I don’t think a lot of people realize is that you had the opportunity to collaborate with both Ozzy and also Tony Iommi, because you played on the Eternal Idol album from Black Sabbath [Tony Martin was their vocalist on that one]. So how would you compare writing with Ozzy to writing with Tony Iommi? Bob Daisley: Well, Ozzy being a vocalist, he was the one with the melodies. Ozzy doesn’t really play an instrument. I mean, he plays a little bit of harmonica, but I wouldn’t say he’s a virtuoso on the harmonica, either. But he was always good with the vocal melodies. Tony’s a riffmeister. He’s a master of the riffs, and he has riffs coming out of his ears. He’s got so many musical ideas and riff ideas, and they’re all good. People could knock out riffs and you’d say, “Yeah, that’s all right,” but Tony, when he writes riffs, they’re always good. They’re catchy, they’re clever, they’re trademark Tony Iommi riffs. He’s great like that. But it is different writing with a guitarist. Usually when you write with a guitarist, it’s more the musical side of things, and if you’re writing with a vocalist, that’s when the lyrics come in more. It would have been nice to do something with Tony and Ozzy together, but that couldn’t happen at that stage. Songfacts: Before, you mentioned Randy Rhoads. I’ve always thought he was a very underrated songwriter, because lot of people focus on his great guitar playing. Bob Daisley: Well, Randy as a songwriter, he had lots of influences. There was the definite sort of “basic rock thing,” there were the guitarists that he’d listen to like Ritchie Blackmore and Hendrix and Clapton and the blues influence, Jeff Beck, for sure. And I know he listened a lot to Uriah Heep, the Demons and Wizards album in particular. And he had his classical thing, too. He was very into classical music and came from that background. His mother had the music school and he grew up in that environment, so he had that classical ingredient, and he wanted to pursue that even more so. To be honest with you, I don’t think Randy would have completely got away from rock & roll. It was too much a part of him. But I know he wanted out of the Osbourne camp. He wanted to pursue his studies and go to UCLA and then get a masters degree in Europe. That was his big thing. So that combination of things, the rock and the blues and even, I suppose, to a point, some poppy sort of stuff. But the classical ingredient gave his writing a different character. I know Randy liked the classical influence in Deep Purple – Ritchie Blackmore was very much into classical and so was Jon Lord, so that was a big influence on some of their big, powerful music. I know Randy liked that classical influence in music. Randy’s got the reputation of being an amazing guitarist, and he was, rightly so. He should have that reputation; he certainly was up there with all the best. But he was a clever writer, too. He knew a lot about the technicalities of music, having come from that environment with his mom having a music school and studying the classical music, as well. Songfacts: Since there’s not that much material of Randy that’s been released, I’m surprised [that demos] weren’t released as part of a boxed set or something. And I said, “Well, I’m not just giving it away, I’m the only one that’s got this stuff. So I want a royalty on it.” She wouldn’t do it. She just wanted to buy it off me for a pittance and I said no. I’m not doing that again. I’ve been screwed enough. Songfacts: If the opportunity ever came up again, would you consider collaborating with Ozzy Osbourne on music? 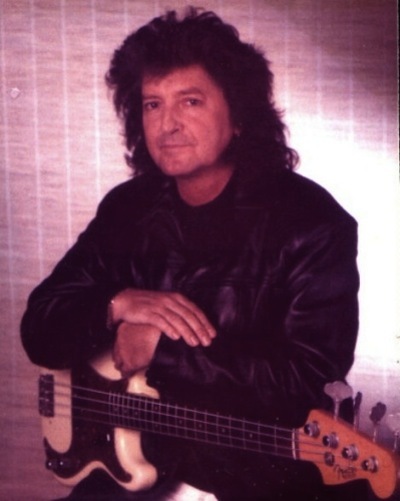 Bob Daisley: I never say never, but there has been some dirty water gone under the bridge. I always enjoyed working with Ozzy because I liked him as a mate. We were friends, and it’s sad that we don’t have that friendship anymore, because we had such a laugh together, too. Ozzy’s got a great sense of humor. We had such a good laugh so often, and that’s probably why the working relationship was productive, because we enjoyed it. We had a good time together. And I think if you’re enjoying something, it comes out in the music. You can hear the enjoyment in it. There’s been many a time where I think, “Oh, it’s very sad that I miss him and I miss what we had.” And it was all so unnecessary. There was plenty to go around. People get greedy and they get power hungry and they get egotistical and whatever else. I’d never say never, but put it this way, it’s probably not likely, but if it was possible, if things could be put right, I would consider it. Read Bob Daisley’s interview at Songfacts. Ozzy own all his songs? And he probably was on Ozzy weekly wage. Eric Singer kept his food $ and ate with the crew. Dio: “You should be happy to work for me for $100 a week”. Vivian: “Hey Ronnie, find yourself another guitarist”.